The Atlanta Sleep Medicine Clinic, founded by sleep medicine expert, Dr. Russell Rosenberg and directed by Board Certified Sleep Specialist, Michael Lacey, M.D., has been granted program accreditation from the American Academy of Sleep Medicine (AASM). Accreditation from the AASM is a significant mark of distinction that proves the expertise, quality care, and excellent service that the Atlanta Sleep Medicine Clinic offers to its patients and referring physicians. To receive accreditation, a sleep clinic must meet or exceed all standards for professional quality sleep medicine care as designated by the AASM. The AASM accreditation process includes detailed inspections of the clinic’s facility and staff and evaluations of testing procedures and policies, patient safety and follow up, and physician and staff training. In addition, the sleep center must provide clearly stated goals that include plans for positively impacting the quality of sleep medicine care in its local community. The AASM currently accredits more than 1,800 sleep medicine centers across the country. The Atlanta Sleep Medicine Clinic is located near Northside Hospital at 1100 Johnson Ferry Rd., St. 420 & 450, Atlanta, GA 30342 and can be located by phone at 678-651-2032. The AASM is a professional membership organization that advocates for the recognition, diagnosis, and treatment of sleep disorders. The AASM is the official accrediting body for American sleep medicine clinics and is dedicated to educating professionals and the public about sleep medicine. The Atlanta Sleep Medicine Clinic is a 4-bed full service diagnostic sleep center that was established in 2008. Founded by one of the early pioneers in sleep medicine, Russell Rosenberg, Ph. D, D.ABSM, and his longtime associate, Michael Lacey, M.D., D.ABSM, it is one of the region's largest sleep centers and is accredited by the American Academy of Sleep Medicine. The Atlanta Sleep Clinic is also Georgia’s first clinic to be affiliated with a well-known sleep school: The Atlanta School of Sleep Medicine & Technology. 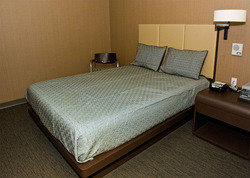 For more information about The Atlanta Sleep Clinic, please visit the clinic’s web site at http://www.atlantasleep.com. Media Contact: Laura Baareman, The Atlanta Sleep Medicine Clinic, (770)883-6679.